We've been fans of Magliamo Vintage for quite some time now. They take vintage cycling gear and give it that 2018 feel in an affordable, Eurocentric package. Most will have first heard of the brand when a certain Mr Weller began to don their clobber sometime last year while on tour in the states. It's always nice for clothing to get the PW seal of approval and Magliamo has just that. From merino wool cycling jerseys to cycling inspired t-shirts they've got the market cornered for those sussed heads longing for that slim, cool, euro inspired look. It's hard to find cycling gear that isn't mega vintage and humming of some minging vintage shop or that isn't covered in loads of logos. That's the relief you get when you open up a package off Magliamo, the gear is new, fresh and ready to wear from the off. 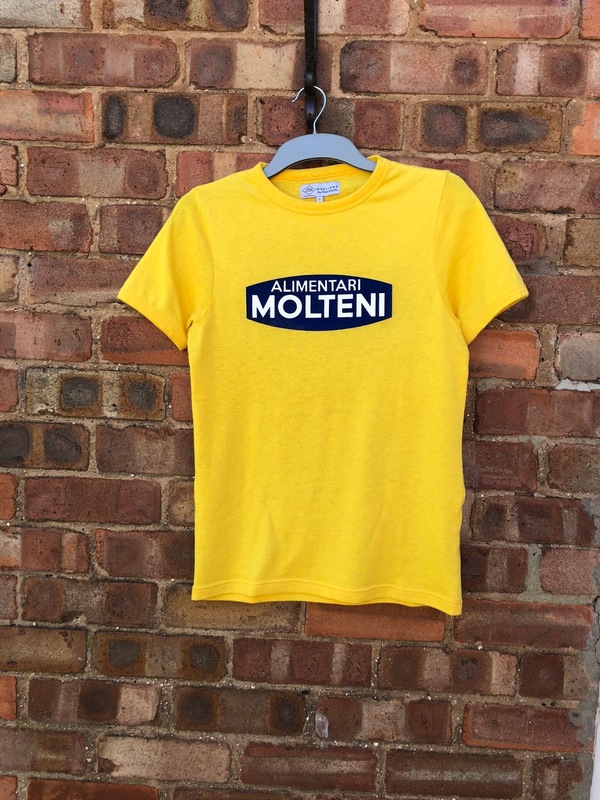 We were lucky enough to get sent the 'Eddy Merchkx Molteni Tour de France T-shirt' and it's a beauty. With a yellow colourway and blue transfer logo it's a tee which lets you stand out from the rest with real ease. First seen by many into the cycling scene due to the legendary performances of Eddy in the Tour de France and now on the backs of many a modernist due to the brands huge popularity surge over the last year. It's a real quality tee with great attention to detail being paid. The 'Molteni' logo sits nicely in the centre of the tee giving it a really striking look when you face it head on. You certainly won't miss the person wearing it when you see them. The thing I like bout this tee is the fact it's a very versatile wardrobe piece. 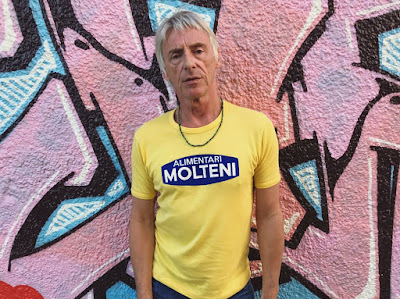 You can wear it when cycling through a sunny european city or when out on the scoot on a Saturday. It's a striking piece and catches the eye of the envious from every angle of the high street. The fit is slim, and this tee looks great pair with jeans or chinos. It's a proper summer holiday piece and I've recently teamed it up with some navy chino shorts and a pair of Adidas Forest Hills. You should definitely get on this gear if you haven't already. It's ace... Check it here!